According to David, if you want to scale and sell anything and build it into something really big, you must first be able to train it. 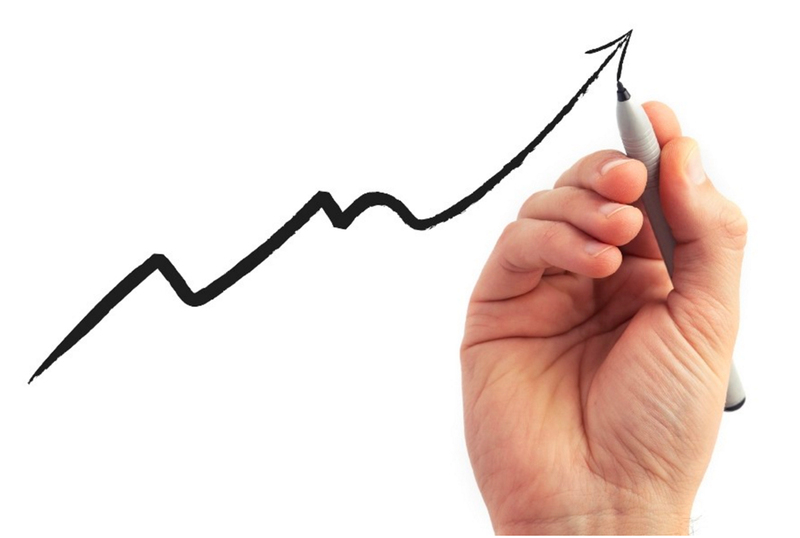 If you can train it, you can scale it, and then naturally, scaling it means you can grow it, and then with growth, you can ultimately sell it. 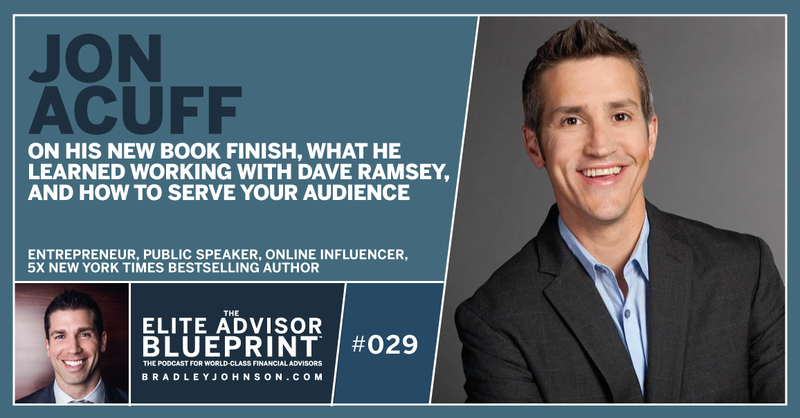 In the rapid-paced world of financial services, I’ve found finishing that first book can be a monumental task, so I’ve distilled tips from my podcast with New York Times bestselling author Jon Acuff to help you all FINISH! As Bitcoin mania spreads like wildfire, financial planners the world over are being bombarded with questions from clients. 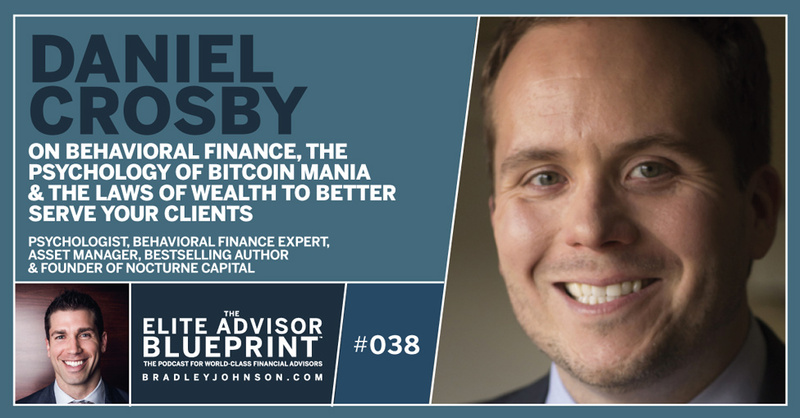 I thought everyone’s favorite cryptocurrency would make for the perfect topic of discussion with Daniel Crosby, an asset manager, who also happens to be a psychologist. 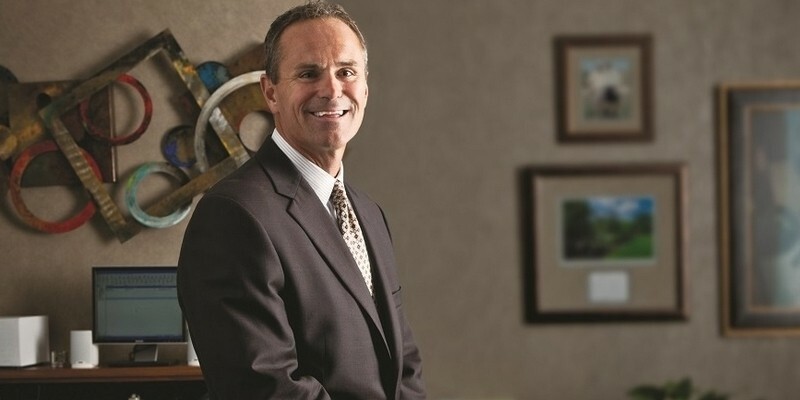 If you’re in the financial services industry, then you’ve probably heard of Steve Sanduski. 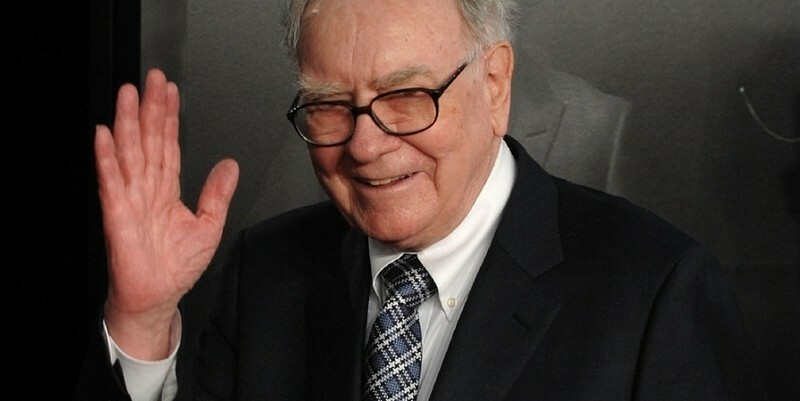 He’s an industry pioneer who helped launch a multi-billion-dollar registered investment advisory at Securities America. Ian Cron is a man of many trades. 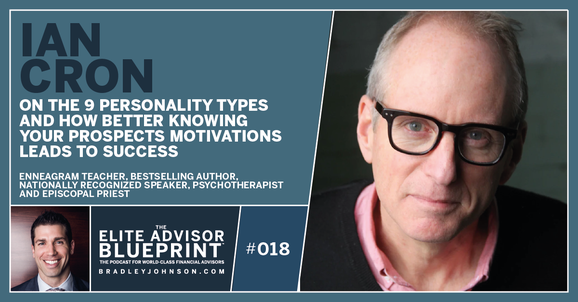 He’s a psychotherapist and an Episcopal priest, a bestselling author and an avid student of what makes people tick. He’s also a teacher of the Enneagram. 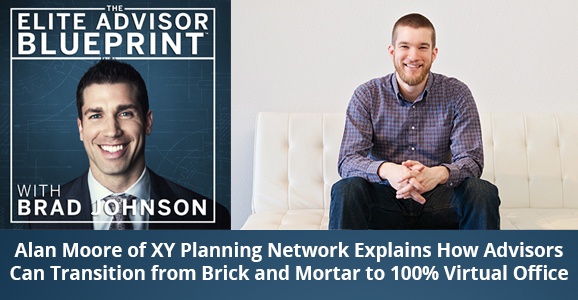 Alan Moore started his career as a financial advisor working under the traditional, face-to-face model, but he always felt tied down with that conventional structure. 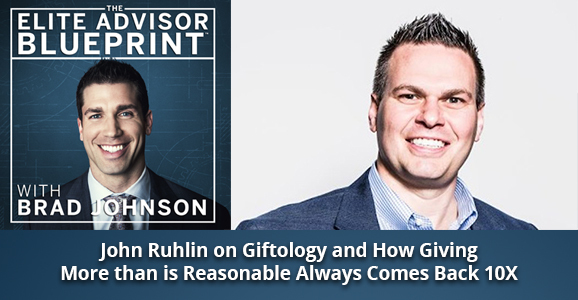 John Ruhlin is the master of “professional gifting.” In fact, he’s built an entire business on a philosophy he calls Giftology. 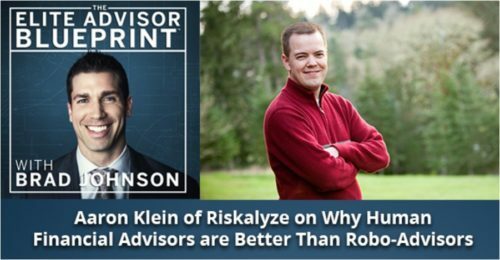 Aaron Klein is the CEO and Co-Founder of Riskalyze, a financial software company that helps advisors pinpoint an investor’s “Risk Number,” letting them custom-build a portfolio that contains just the right amount of risk for that particular client. Recently on the show I had the pleasure of speaking with Joey Coleman, CEO of Design Symphony, for over an hour. 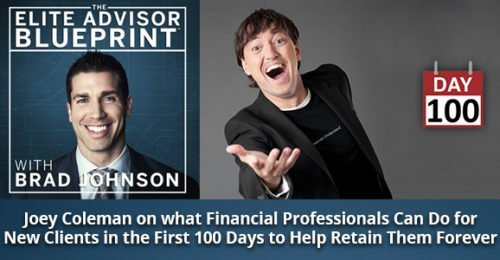 Joey gets hired by corporations like Zappos and Hyatt Hotels to assist them with their customer experience, so I couldn’t wait to ask Joey about The First 100 Days strategy and how it could apply to financial services. 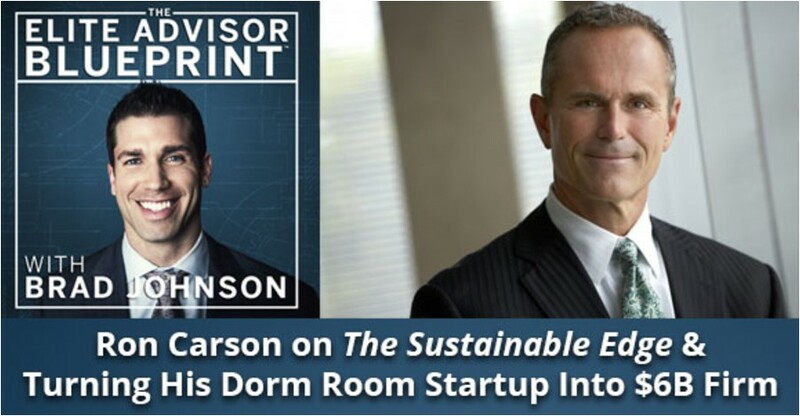 In my hour-long conversation with Ron Carson, CEO and founder of Carson Group, he said something in passing (literally a 30-second aside) that is one of the best pieces of advice I’ve ever heard for financial advisors. 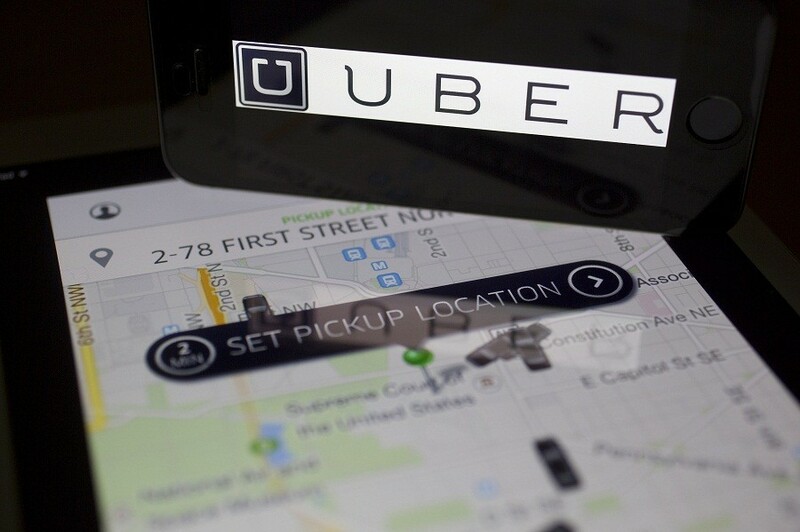 Especially when it comes to connecting with uber-successful business owners and ultra-high-net-worth individuals. How many of your clients do you love working with? If you’re like most financial professionals, there’s probably just a small subset of your clients that fall into that category. You don’t necessarily dislike your other clients, but wouldn’t you love to fill your business with only your favorite kind of clients? 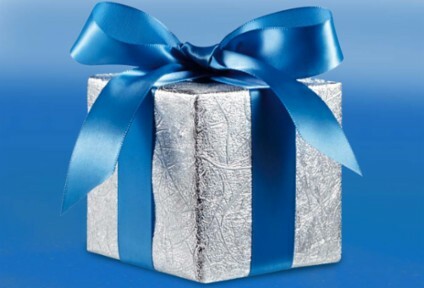 Would you like to know how John Ruhlin, the undisputed king of professional giving, used just one gift to win millions in business? 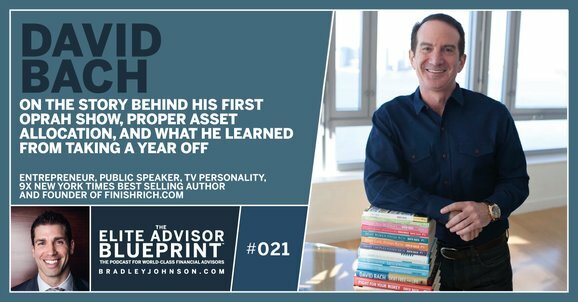 John shared a story that sums it all up during our recent conversation; it all starts with John waiting over an hour to meet Cameron Herold, COO of 1-800-GOT-JUNK and renowned business coach. What would you say to the idea that it’s actually easier to grow your business 10 times over than it is to simply double it? That’s the entire premise of Dan Sullivan’s renowned program, The Strategic Coach, and he spoke with me recently to explain why the idea is so empowering to anyone who runs their own business, especially financial professionals. 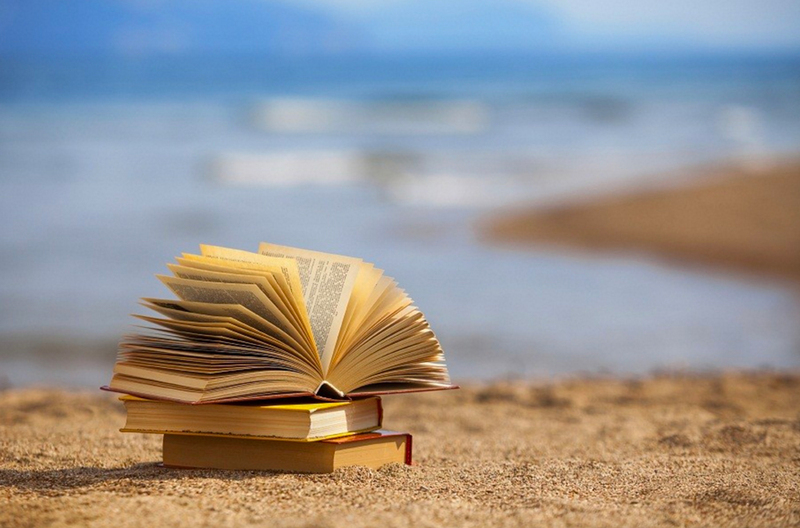 Writing a book can do big things for financial professionals. Books reinforce the credibility of the author and can help establish the author as a thought leader and authority figure in the eyes of potential clients, plus it gives you an invaluable marketing and lead generation tool. 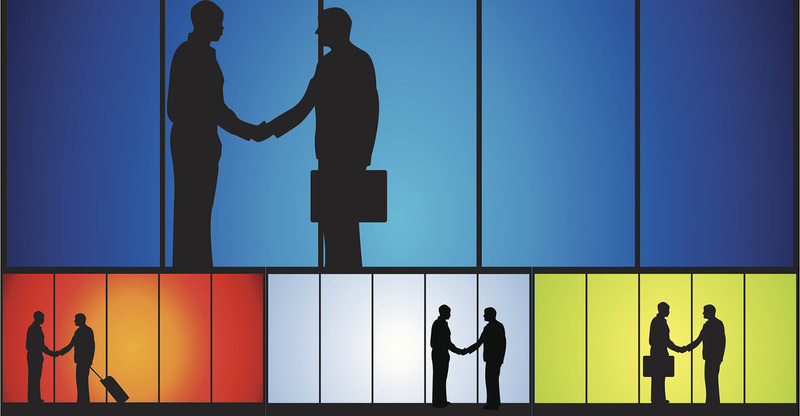 Have you ever heard of the company Riskalyze? It’s a popular tool financial professionals use to assign risk scores to their clients to guide their investment strategy. 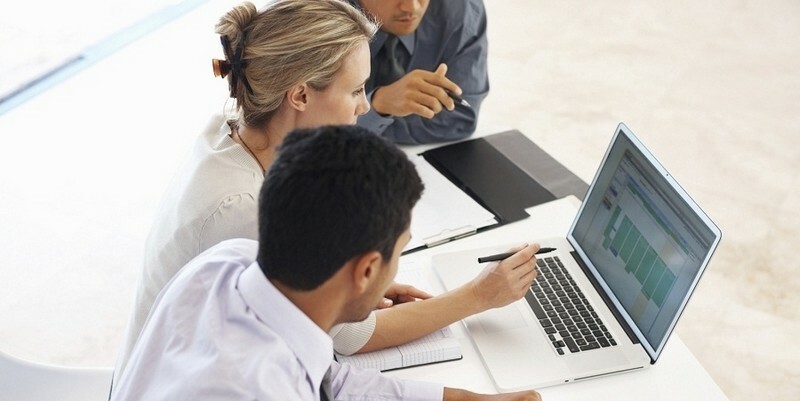 Top advisors love to help clients plan their financial future. But that’s not necessarily their only passion. 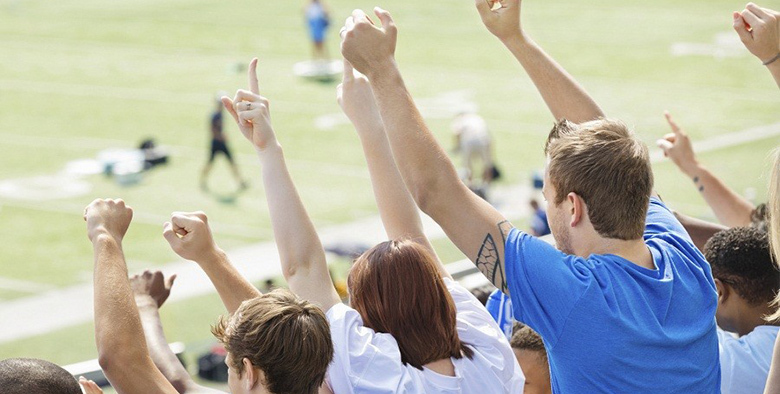 Some wealth managers pursue hobbies outside of work that provide great personal satisfaction. 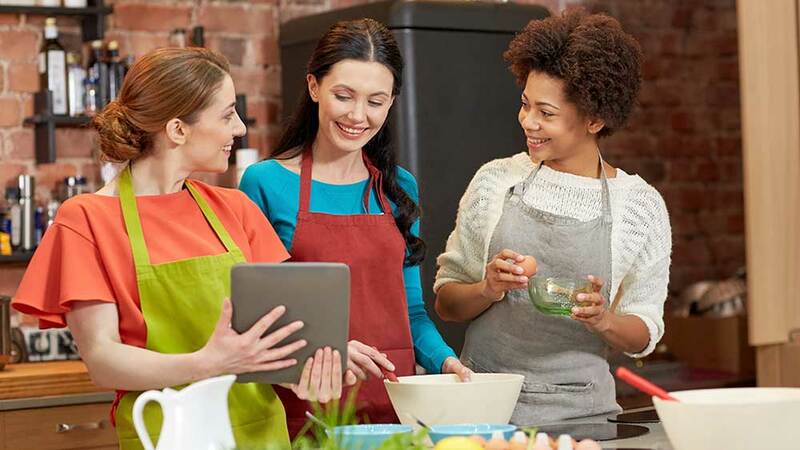 Savvy advisors have found creative ways to integrate such hobbies into their financial planning practice. If you live in America, there’s a 99.9% chance you know that the new Star Wars movie is coming out on Dec. 18. After all, TV commercials advertising “Star Wars: The Force Awakens” have been running non-stop since September. 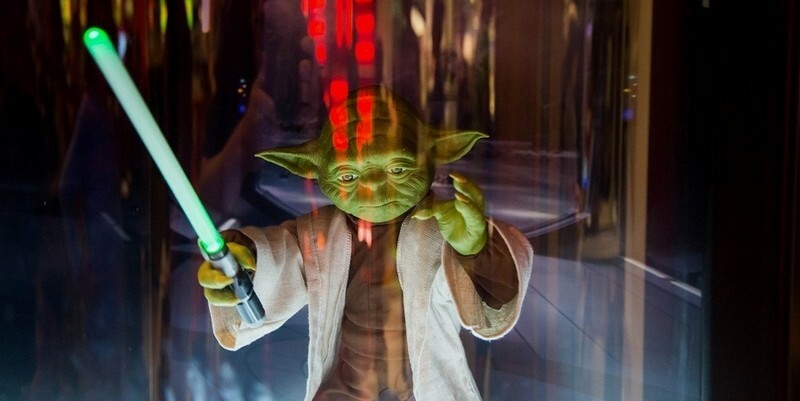 Even with a DVR, they’re hard to miss… Behind all the hype and marketing is an incredible lesson that every financial adviser can learn from the basic plot of Star Wars and other similar Hollywood blockbusters, too. Recently, I took a trip to Nashville, Tenn., to meet with a business Mastermind group I’m a part of. A few hours into the meeting, some comments were made by the group about my socks and those of another member, and how cool they were (For any of you who missed this recent men’s fashion trend, here’s a little more info). Long story short, the new trend in men’s fashion is wild and crazy socks. If you’ve been in business for more than 10 or 15 years, chances are you still remember what I affectionately call the “Technology Dark Ages.” Do you remember when almost all business communication was done by fax? Or how about when you had to pull off and find a pay phone to contact a client you were about to meet? While those technologies improved our lives and made it easier to do business, they are antiquated compared to the technology at our fingertips today. Now we can call our clients as we drive down the road. Even more amazing, we can email them documents using the very same device we use to make phone calls. Of course, technology is always marching forward and giving us new and better ways to do things. With this in mind, I want to share seven technology hacks and tricks that every financial adviser should know about. 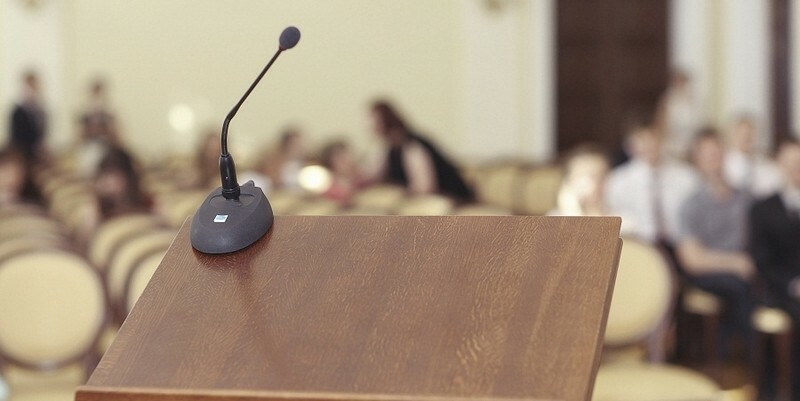 If you’re a successful financial adviser, odds are good you go to your share of industry conferences each year. You go because you know that at every conference, you’re going to get great ideas to grow and improve your business. But the truth is, if you are like most conference attendees, many of those game-changing ideas never get put into action. 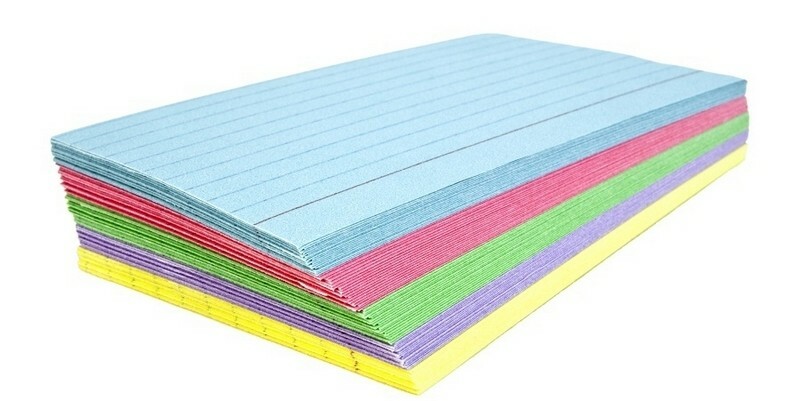 Here’s an approach that helps you cut through the clutter of pages of notes to make sure the most important ideas get implemented every time. Did you know Kodak invented the product that eventually put them out of business? It’s true. Kodak invented the digital camera way back in 1974. If they had realized why loyal customers actually used Kodak products, they would have put a huge amount of effort into bringing the digital camera to market, and the company might still be around. The thought process that led to this turn of events — a company actually making itself obsolete — can provide some cogent business lessons for advisers. 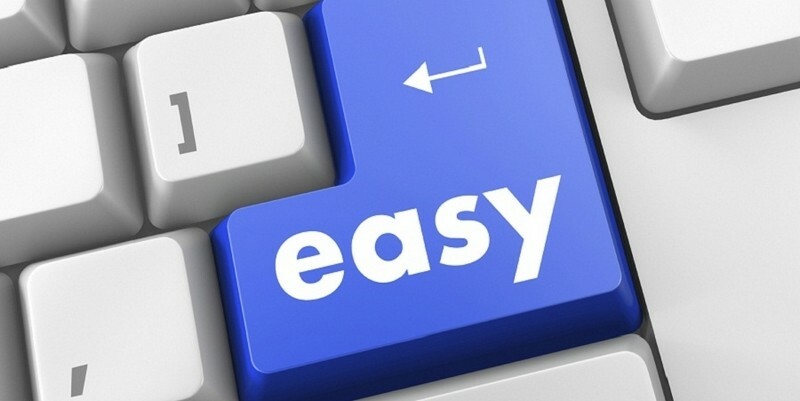 Brad Johnson, a practice management coach at Advisors Excel, an insurance brokerage firm in Topeka, Kan., has seen many advisers make the mistake of completely abandoning their core businesses to chase a “niche market” because it sounds “sexier” than their current business model.